This rear detached studio provides comfort and convenience in a great part of West LA (adjacent to Culver City). 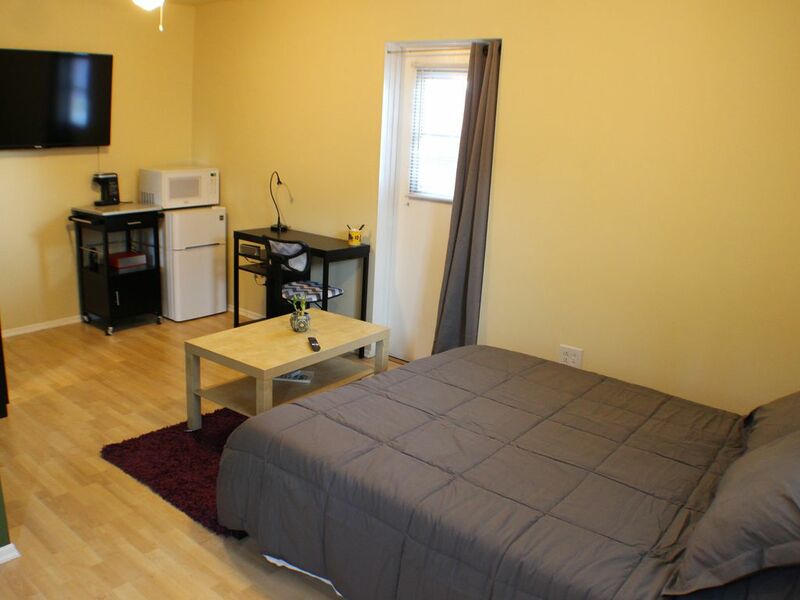 This "mother-in-law house"-style studio comes equipped with a 3/4 bathroom, queen-sized bed with spring & memory foam mattress, desk/chair, wireless internet, coffee maker, microwave, refrigerator, linens, and storage space. It s totally separate from the main house, providing great privacy and independence. One of the highlights of this property is the backyard, which guests will have full use of. The yard boasts a large deck with city views and a picnic table. There s also a hot tub and a natural gas bbq grill. Location is very well connected, whether you have a car or not! Yummy local restaurants and a convenience store are just steps away. Half a mile to rec center with tennis courts. Easy bus ride to Downtown Los Angeles, Culver City, LAX, Venice, Santa Monica and UCLA. Cheap "used car", $6.99/day car rental is a short walk away if you only want a car for a day trip or two. For those with cars, the property is perfectly situated close to highways: 405, 10, and 90. Street parking, and visitor pass available for permit-only spaces farther down the block. Note, there is an exterior camera in the front yard and one in the back yard facing the gate and door.